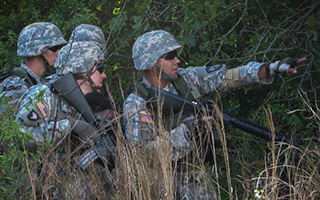 Whether you're in high school, college or already in the Army, there is a way you can become an Officer in today's Army. Whether you’re in high school, college or already in the Army, there is a way you can become an Officer in today’s Army. If you’re still in high school and you’re interested in enrolling in Army ROTC, you’ve found one of the largest and most successful programs in the nation! Learn more about Army ROTC scholarships for high school students. Scholarships and generous monthly stipends in Army ROTC help you focus on what’s important. Namely, getting that college degree — not how you’ll pay for it. Learn more about 4-year scholarship opportunities for high school students.